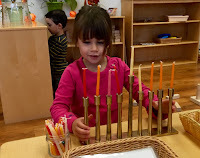 By the looks of our classroom we are getting ready for Chanukah. Morah Tzivie began the story. A long time ago in ancient Israel the Jewish people would gather together at the Beit Hamikdash (the Holy Temple) to celebrate the holidays together. Abram: The holiday that you use sticks for to build a tent and invite people to eat. Morah Tzivie: Sukkot! Yes they did. 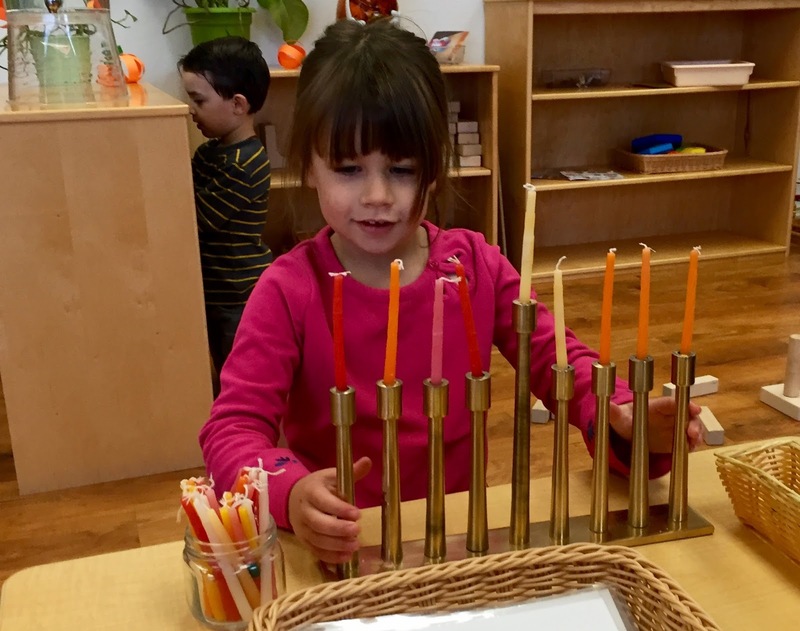 Judah: At Shabbat we light candles and drink juice. Morah Tzivie: Yes, and the Jewish people from long ago would light Shabbat candles and make kiddish and eat challah. BUT, then something happened, a mean bossy king, King Antiochus, told the Jewish people they can't celebrate Shabbat, they can't celebrate Sukkot or any of the holidays. They can't pray to Hashem. Morah Tzive continued. She told us how the Jewish people were worried and upset. They didn't want to stop celebrating holidays and doing mitzvahs. The Jewish people prayed to Hashem. Abram: BUT when a soldier came by they would hide the torah's and begin playing dreidels! Morah Tzivie: Yes! The brave children tricked the Greek soldiers. 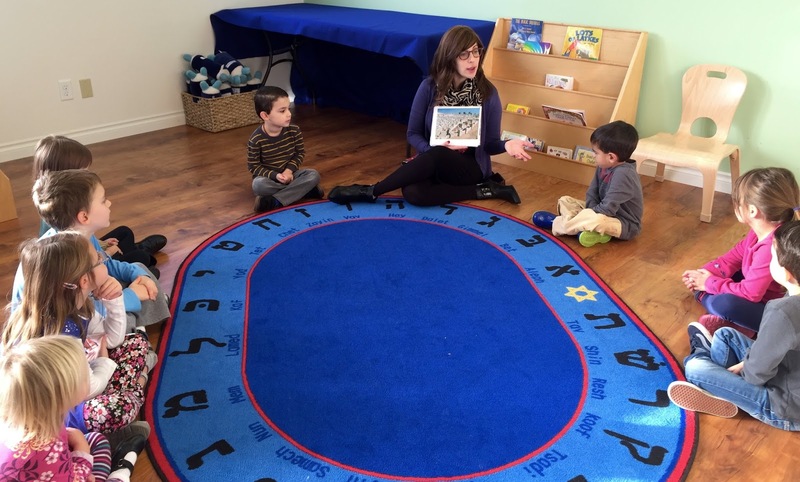 The brave, smart children at The Gan pretended to be the brave Jewish children from long ago. I pretended to be the Greek soldier. Clearly, the children are feeling proud of themselves for tricking me. 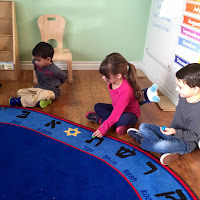 This pride is a connection they have and share with children in the Chanukah story. This sense of pride is a feeling we want them to internalize everyday. As Morah Tzivie recounted the story about King Antiochus, all his demands and NO's, I began to reflect on how preschoolers may view me as Morah Antiochus or a Greek soldier. In our classroom community there are definite NO's. We phrase them as: You can kick a ball, the blocks you have are for building; You do run fast, can you show me your walking feet? What are scissors for? At the end of the day I write notes about what went well and where I can improve. Looking through these notes I see: Wait and see. Stop and watch. What would happen if I refrained even from a redirection? Do I need to be involved? What would happen if I just paused and observed? I am not suggesting allowing the children to run amok in anarchy. Are they creating solutions on their own? Do they need guidance with redirection? How are they demonstrating they are not getting their need (want) met? The next time we hear heated voices or a ruckus, if we catch and stop ourselves as we prepare to say No, Wait, Don't, we may get to witness something special. Abram and August had a conflict over the scooter. August: Abe you always get ride it, I just want a turn. Abram: But I really like to ride the scooter. August: I like to run, but today I want to ride the scooter. Abram: Okay how about we take turns for 3 minutes. Before the 3 minutes were up, August had already decided to take turns with Abram. 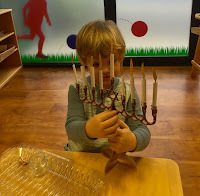 Judah: The menorah has to go back to the shelf Ari. 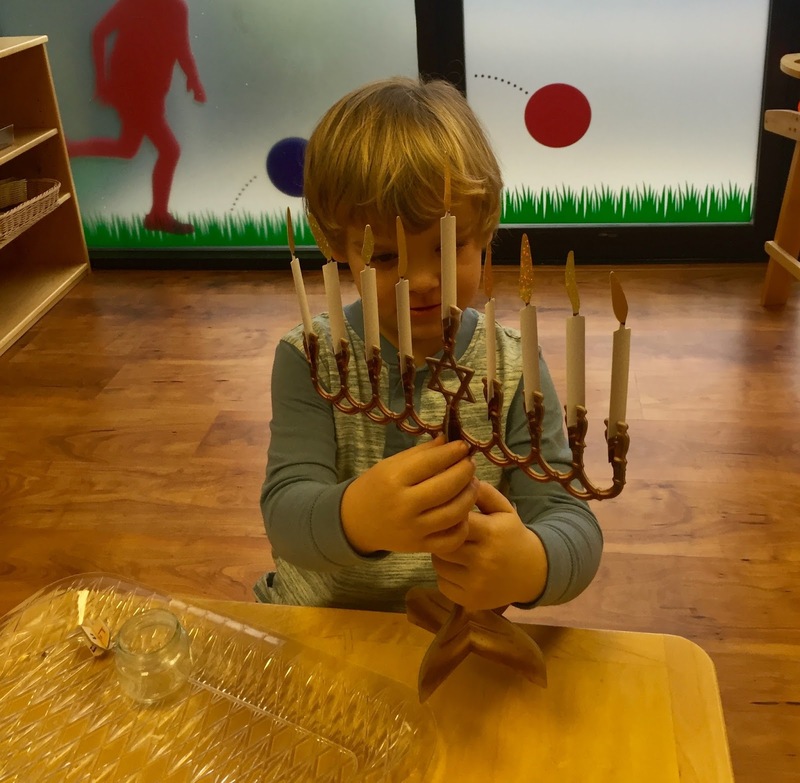 Judah: Well I'd like a menorah to play with. Ari: I'll show you another one you can use. Evan: Judah I was sitting there. I went to get a book. Judah: Well I don't think there is enough room in the cave. August: 3 kids can be in the cave, Evan would make 3. Evan: And I was in the cave, I just went to get a book. Judah: We should get the Torah's too, and then hide from the soldiers and play dreidel. Evan: We can do that. Sharing may happen as a result of just letting them stare at each other. Maya: Judah I need the helmet! I want that helmet. Judah: I will give it to you when I am done riding the bike. Maya: Are you done yet I need the helmet. Judah: I will be done soon but we can find you another helmet. Evelyn: I want to be the Greek soldier! I need the helmet. Judah: You don't need the helmet to be a Greek you just have to stomp and tell them they can't study the Torah! We can all be the Greek soldiers together. Olivia: You can have the helmet. I don't need it. These moments resolved themselves without any teacher interruption. As I continue to work at waiting, observing what develops, I see my hopes for these children become real. 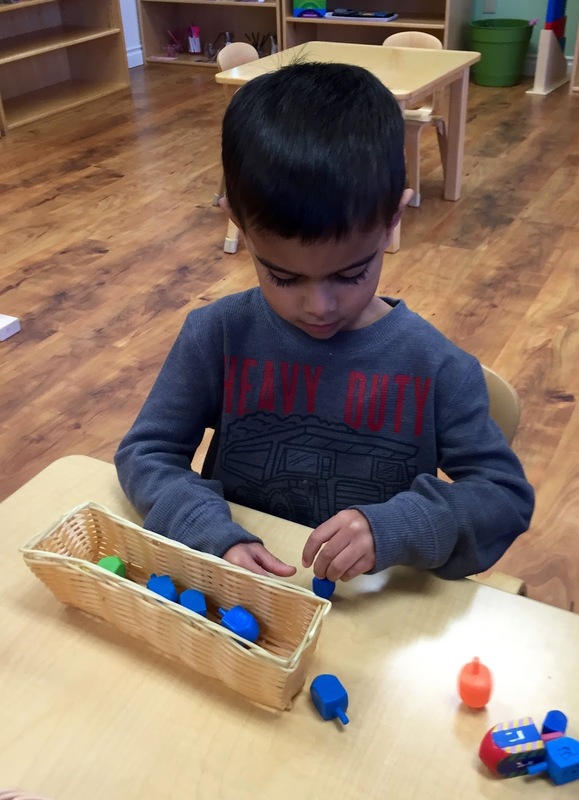 It is during these moments when children discover the choices that feel "right". 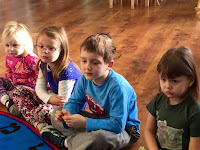 Making those "right" choices (sharing, communicating with words, cleaning spills) deepens their self pride. 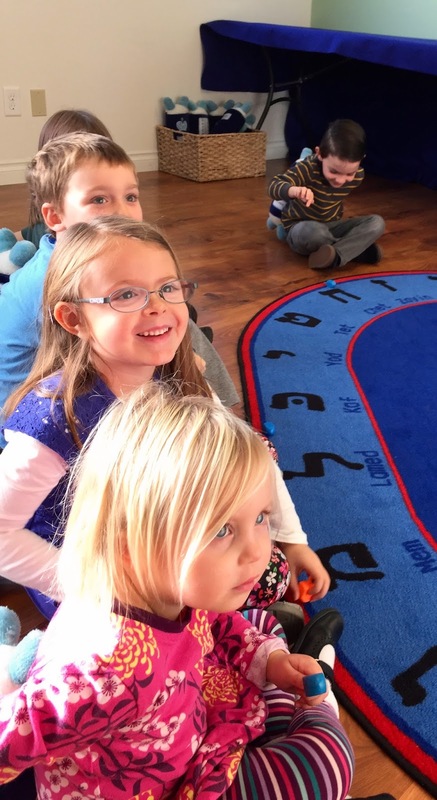 I can be- and am- proud of the children everyday; it is more important to me that they feel pride in themselves. We talk with the children about the brave Maccabee's who chased the Greeks out of the temple. We want them to identify with what it means to be brave. When they feel empowered they will be brave, standing up for themselves and others when they encounter meanness and unkindness. Judah's feeling were hurt and he chose to speak unkindly to Clara. Clara: Judah I don't like it when you speak meanly to me. 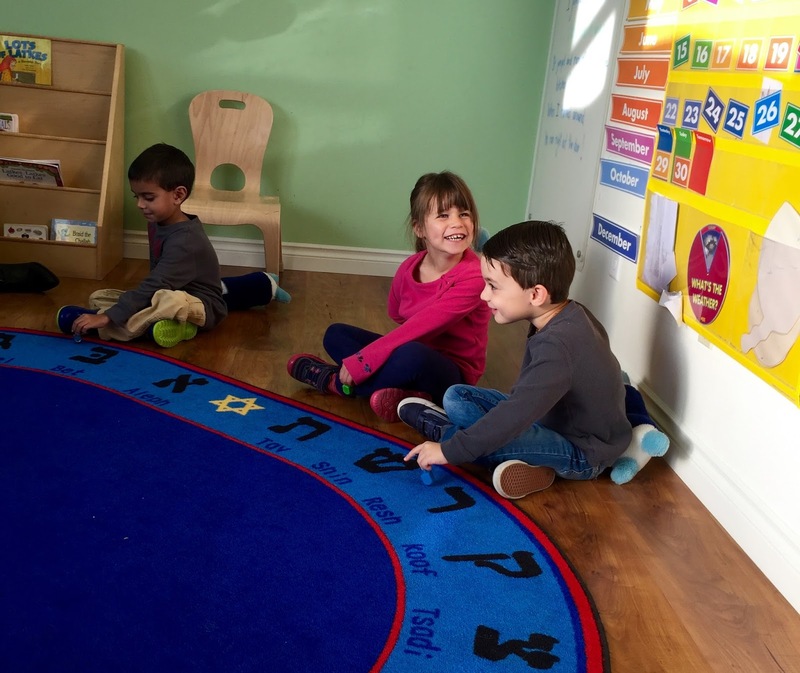 Judah: Ok but I wanted to sit by Nora. Clara: But you can ask Nora and me without being mean. Judah: Ok next time I will. Judah: Nora can I sit by you?